Phenburn 500 is a slimming pill manufactured in the UK by eBody. The main ingredient is a proprietary blend and eBody also produce a less powerful version of the product, called Phenburn 375. The only difference between the two is Phenburn 500 contains an extra 12.5mg of the proprietary blend. 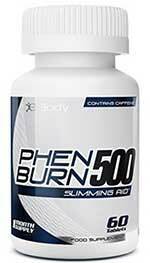 The marketing material describes Phenburn 500 as “advanced slimming aid and a “cutting edge” thermogenic fat burner. May help to intensify energy and give you more focus during workouts. May reduce your appetite and help you to feel full. Contains Chromium, Vitamin B6, and Vitamin B12 for optimum weight loss benefits. Contains pure pharmaceutical grade caffeine to provide a rapid stimulation boost. Negatives: The “proprietary” blend in most cases gives manufacturers an ideal opportunity to skimp/hide/dilute. PhenBurn Proprietary Complex (50mg): The use of a proprietary blend usually gives manufacturers an excuse to omit inclusion rates. In this case eBody have opted to provide no information at all about the content of the blend. They merely state it contains “two key ingredients” to aid weight loss. Green Coffee Extract (150mg): A popular diet pill ingredient that has the power to deliver good results. Green coffee beans are rich in chlorogenic acid. All coffee beans contain it when they are in their original state (green), but the compound is usually destroyed by the roasting process that is used to improve their taste. This is a pity because chlorogenic acid can help balance blood sugar levels and suppress the appetite. However, it is more highly regarded as metabolism booster and fat burner. Guarana Seed (300mg): Guarana is a fruit that contains high levels of caffeine. This makes it very useful for providing extra energy and improving focus and concentration. Caffeine can also suppress the appetite and speed up the metabolism; so it’s a versatile ingredient, but the effects of many caffeine-providing ingredients wear off quite quickly. Guarana is different. It releases its caffeine quiet slowly, so the benefits are much longer lasting. Kola Nut (175mg): The seed of the Kola nut plant. Kola nut is a source of caffeine and is quite a common inclusion in weight loss products. L-Carnitine (100mg): An amino acid that aids the metabolism. The body can produce its own supply of L-Carnitine, but it can also be manufactured in a laboratory. 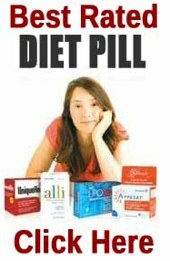 It has value as a weight loss provider, but only when the body has become L-Carnitine deficient. Green Tea Extract (50mg): Green tea provides a specific type of antioxidant, called catechins, that are capable of boosting the metabolism and triggering thermogenic fat burning. Conjugated Linoleic Acids (CLA) (5mg): A natural fatty acid. A study conducted by reasearchers in Norway is highly supportive of the many claims made about CLA’s ability to help people shed excess weight. Vitamin B12 (1.2 mcg): A water-soluble vitamin that is sometimes uses as a mood improver. 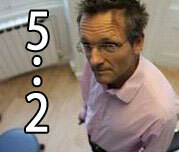 Vitamin B6 (0.7 mg): Vitamin B6 is necessary for a healthy thyroid. The thyroid produces hormones that are necessary for and efficient metabolism, so the inclusion of Vitamin B6 here is not without value. Chromium Polynicotinate (13mcg): Although chromium used to be highly regarded as a fat burner, several studies conducted on human volunteers reveal it has very little fat burning ability at all, but it may help to balance blood sugar levels. Calcium Carbonate and Microcrystalline Cellulose, HPMC, Titanium Dioxide, Indigo Carmine, Magnesium Stearate and Silicon Dioxide: Used here as binders and fillers, and for the tablet coating. However, calcium carbonate may offer additional value because some experts believe calcium may be able to help reduce body fat. How to Take Phenburn 500 – One tablet should be taken with water 15 to 30 minutes before breakfast. If no tolerance issues are experienced after 5 to 7 days it is permissible to take a second tablet during the afternoon, but the maximum dose of two tablets should never be exceeded in any 24-hour period. It is also unwise to use Phenburn 500 alongside other caffeine-providing products. Phenburn 500 is not a suitable option for pregnant or nursing mothers, anyone who is under 18 years of age, people who have existing health issues, or anyone who is taking prescription medication. A bottle of 60 tablets costs £34.95 from the manufacturer’s online store. It is also possible to purchase Phenburn 500 via Amazon and the price is around £10 cheaper. 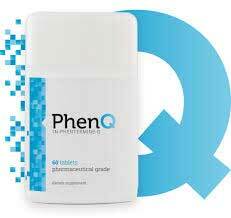 In the Phentermine alternative marketplace (products that stats with Phen…) there are just a handful of product that dominate – in our opinion it is PhenQ that leads … and by a country mile. PhenQ offers customer the chance to buy direct from it’s official website, it offers a 60 day money back guarantee and free shipping anywhere in the world – this underlines and highlights just how much confidence the manufacturers have in their brand.